One of the best ways to simplify your choice of a roof type is to look at the style of your home. As every home style evokes a certain character, your roof should be the defining element of your property. Choosing the right kind of roofing system for your home is necessary because it is your home’s primary defense against harsh weather. It’s also one of the largest and most noticeable exterior elements of your home. Lyons Contracting understands this, which is why we offer a wide range of roofing materials. 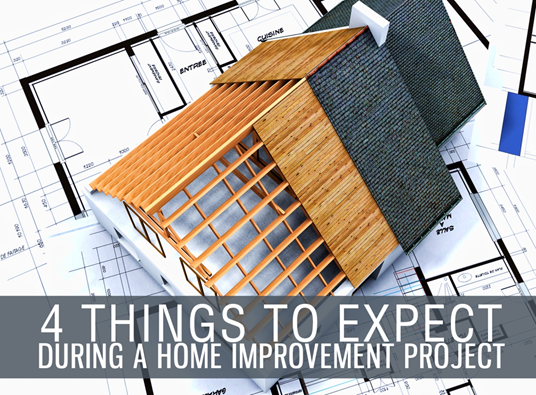 Starting a home improvement project can be a bit daunting. After all, you have to managed your home improvement dollars, manage a complicated process, and juggle your schedule. Knowing what to expect can allay your fears and help ensure a smooth and stress-free home upgrade. Decisions – Your home improvement project depends on your decisions. For instance, you need to decide the scope of the project and the specifics of the building materials or products. As an expert roofing company in Falls Church, VA, we recommend making as many decisions as you can before project start. If possible, have alternatives ready if parts of the project don’t pan out. The Unexpected – If you count on finding something unexpected for your schedule or budget, then you’ll be able to deal with it. We suggest having 20% cash above contract for contingencies as well as a flexible schedule. As a leading roofing contractor in Falls Church, VA, we can help you develop an adaptable and robust plan. If anything unexpected happens, we’ll also keep you up to date. We’ll do our best to prevent delays. Emotional Highs and Lows –During your project, you’ll see your home move closer to your ideal. On the other hand, managing such a big project can add stress to your life. Before beginning your project, make sure that you have enough energy. You should be mentally and emotionally prepared. Noise – Upgrading your home is a lot of work and that typically involves noise. People moving around the house and the sound of work and power tools can be loud. Make sure that your family and your neighbors are ready for the project. Fortunately, working with a qualified contractor like us can alleviate this problem. As a specialist in roofing in Falls Church, VA, we can minimize noise and make sure your home is clean after the project. Lyons Contracting can provide you with a smooth and stress-free home improvement process. We listen to our customers and help them choose the right products for their home. We make sure to clean as we go and protect our customers’ properties. We also keep our customers updated on the status of their home improvement project. Call us at (703) 457-6560 to learn more things to expect during your project. You can also schedule a free in-home consultation.